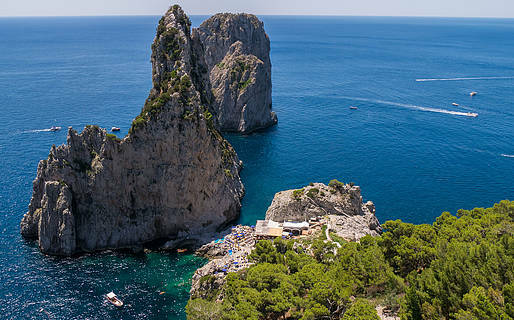 Three days on Capri for a romantic get-away, a mini-break with friends, or a family retreat: just the two of you or with a group of loved ones, Capri is the perfect island destination in Italy! 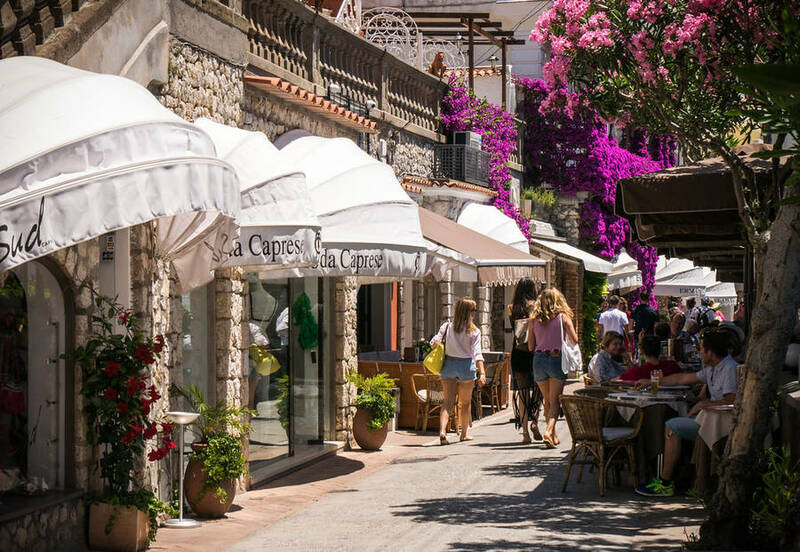 After you've dropped your bags at your hotel, you can begin exploring Capri town from its vibrant central square, the chic Piazzetta. 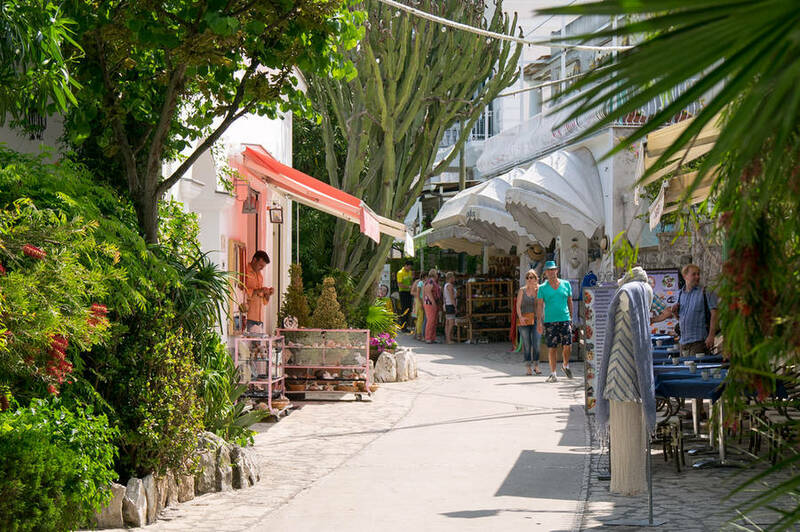 All the lanes in the historic center of Capri begin in La Piazzetta, so take Via Vittorio Emanuele to the historic Quisisana Hotel, and continue along the famous Via Camerelle, lined with luxury boutiques. 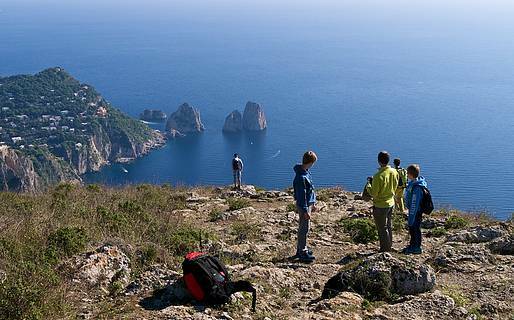 Stroll its length and then pick up the picturesque Via Tragara which ends at the scenic overlook facing the Faraglioni sea stacks. On your way back, take Via Cesina, Via Fuorlovado, and Via le Botteghe, this latter home of independent fashion and home decor boutiques. It's probably time for an evening cocktail by now, so grab a table in the Piazzetta and watch as the glitterati vacationing on this fashionable island gather for an aperitivo before dinner. We suggest reserving a table for dinner in advance, especially if you will be visiting over a weekend from June to September. 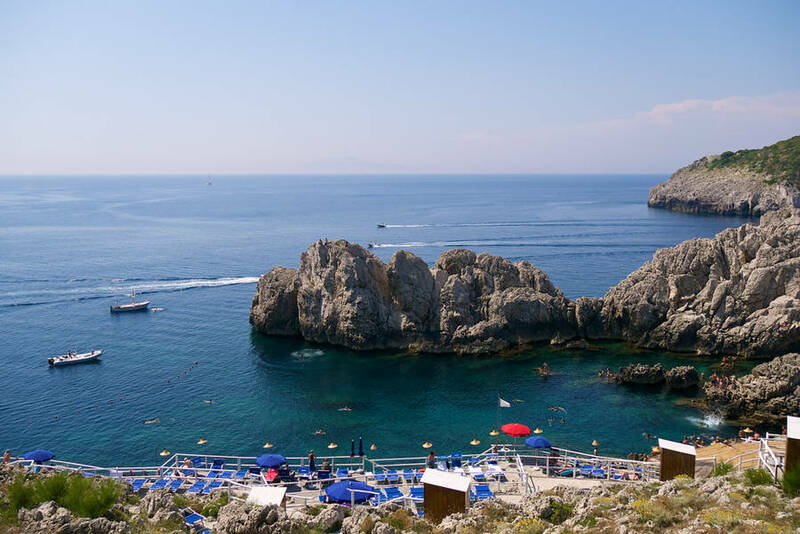 You can dance the night away after dinner at one of the many clubs in Capri, including the famed Anema e Core. All the town's nightclubs are located between the Piazzetta and Via Camerelle. Day Two - Relax or Explore? Today you have the whole day before you, so how would you like to spend it? 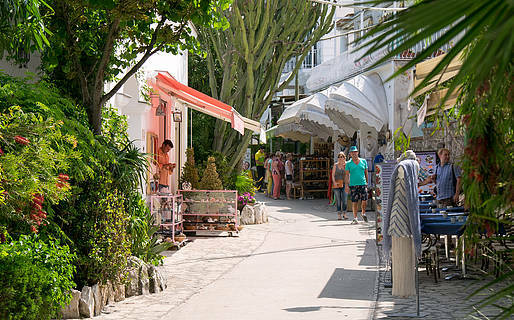 You can relax on the beach or discover the sights in Anacapri, the island's second town. If your heart's desire is to spend the day on a sun lounger, cocktail in hand, then you only need to choose one of the island's beaches and pack your beach bag. 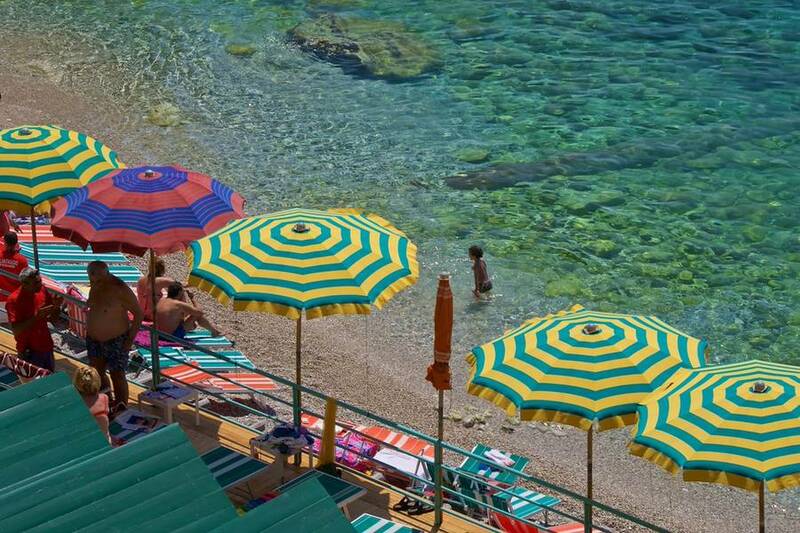 It's a good idea to phone ahead a day or two to reserve a lounger at one of the private beach clubs, and also to let them know if you are going to arrive a bit late if you've lingered over your morning espresso in the Piazzetta. 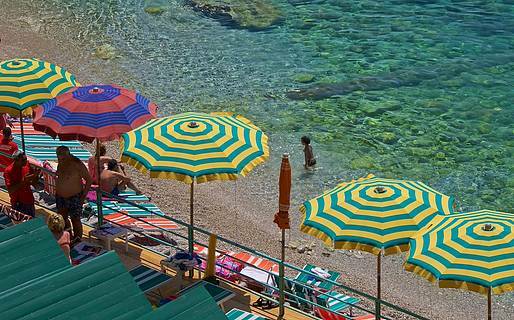 All the beach clubs on Capri have excellent restaurants. 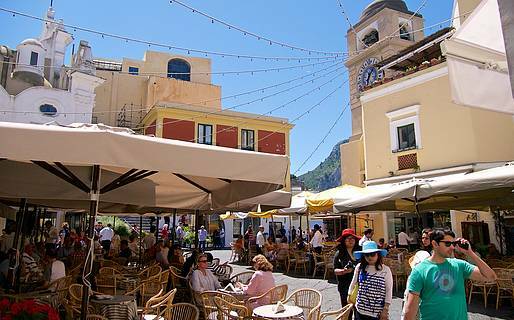 If you prefer spending the day discovering Capri, then you should head to Anacapri, the highest town on the island. 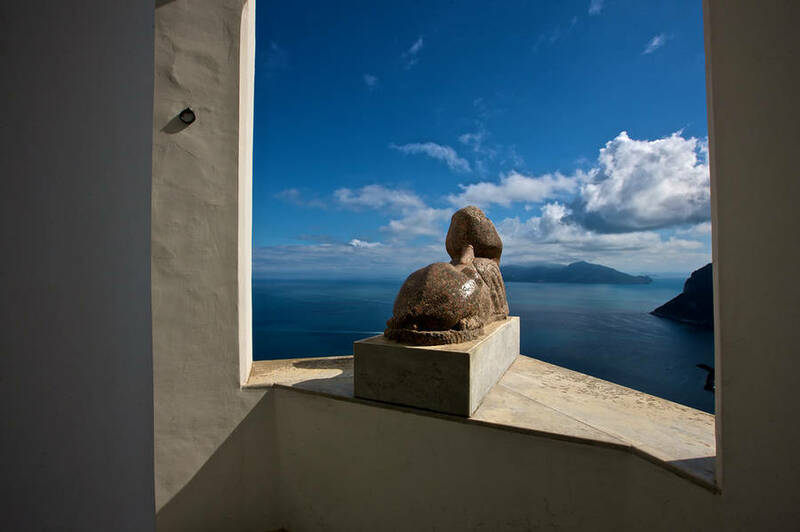 From Piazza Vittoria in Anacapri, the chairlift ride to the peak of Mount Solaro takes about 12 minutes, and from there you can enjoy sweeping views over the island and surrounding sea. You can walk back down, stopping to visit the Cetrella Hermitage. 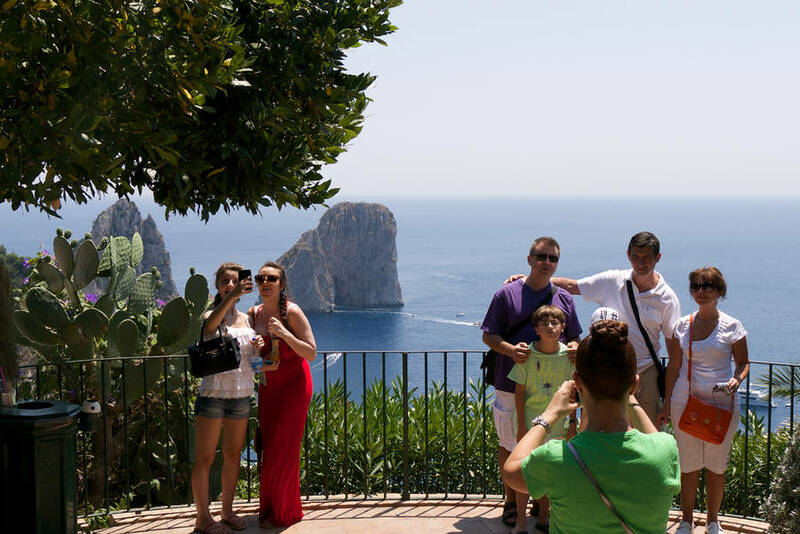 Once you've come down from Mount Solaro and are back in Piazza Vittoria, continue straight along Via Capodimonte to Villa San Michele, the house-museum built by the Swedish physician and author Axel Munthe. 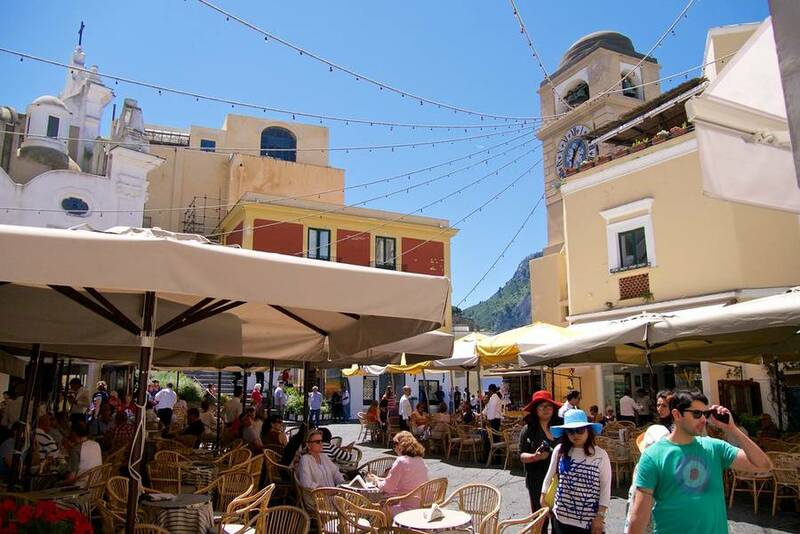 After visiting the museum, continue your walk along Via Giuseppe Orlandi, Anacapri's main pedestrian street. Stop to admire the majolica floor in the Church of San Michele, visit the Casa Rossa, and do some shopping in the artisan shops along the way. 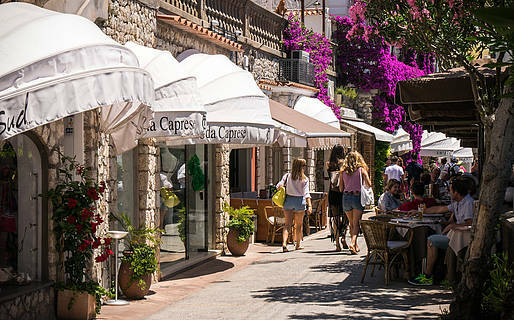 Wander through the historic Boffe neighborhood to Piazza Caprile. 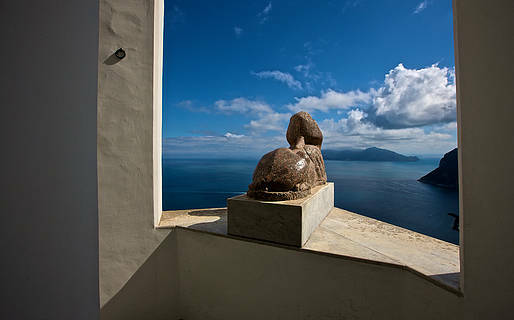 It's time to rest your weary legs at the spectacular Punta Carena lighthouse outside Anacapri. 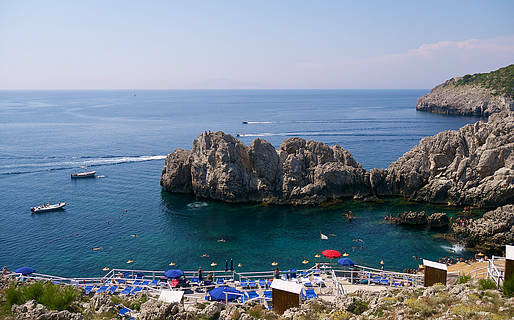 Take the bus from Piazza Caprile or walk the couple of kilometers to the lighthouse. At the beach under the lighthouse, there is the Lido del Faro beach club and restaurant, and a public area with two snack bars selling sandwiches and beverages. 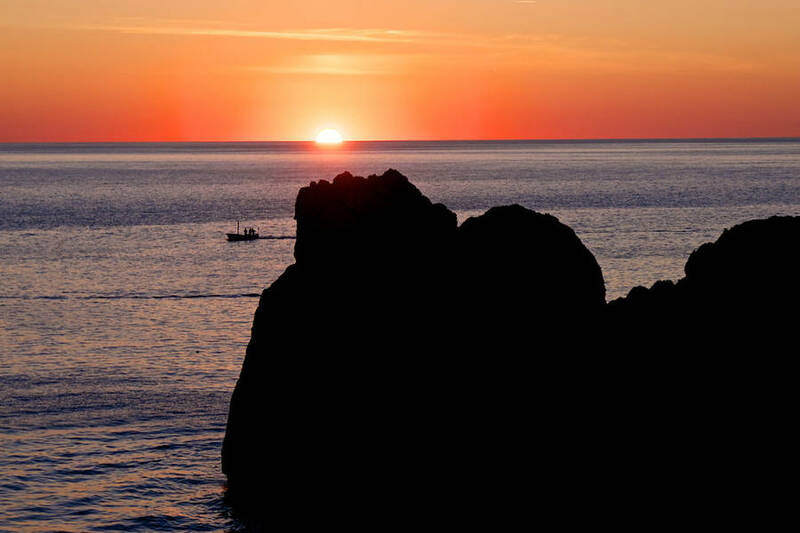 Settle in and enjoy the most beautiful sunset on the island from here. 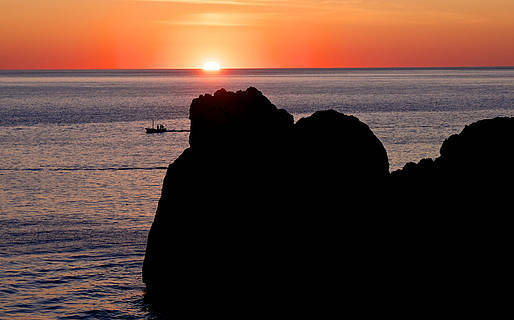 Both serve traditional cuisine with a beautiful view of the sea and a shuttle service to and from the center of Anacapri. If you'd rather dine in the center of town, Trattoria Il Solitario also serves island dishes. 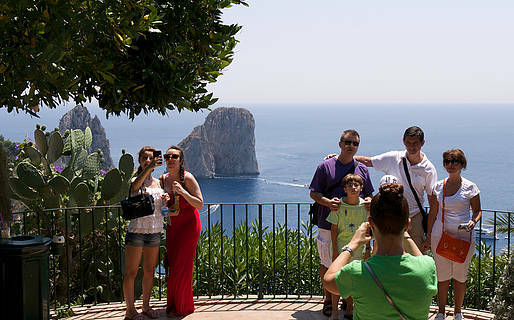 Morning: visit the center of Capri, making sure to stop at the Gardens of Augustus and the Charterhouse of San Giacomo. 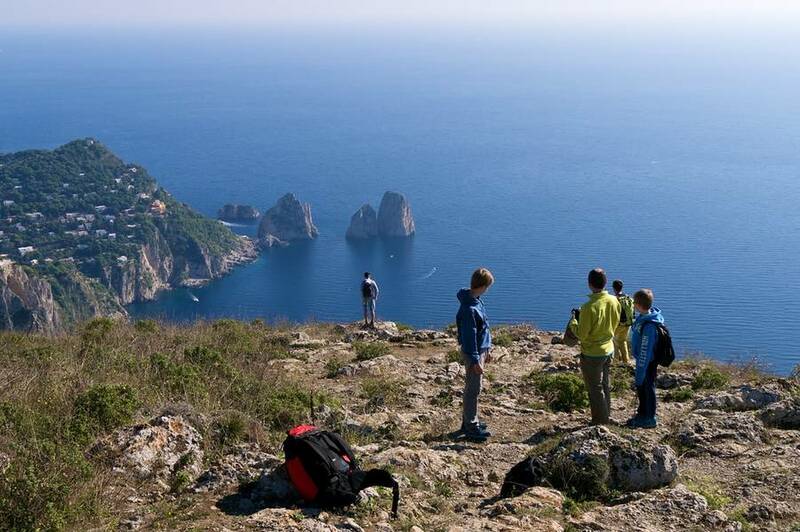 If you love a picturesque walk, you can set off for Villa Jovis and Villa Lysis or hike along the Pizzolungo trail. 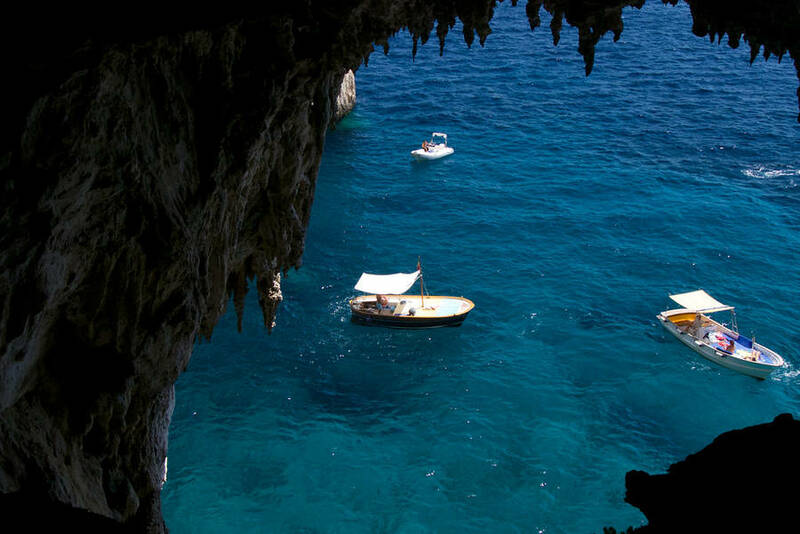 You can't leave the island of Capri without having admired its coastline from the sea! 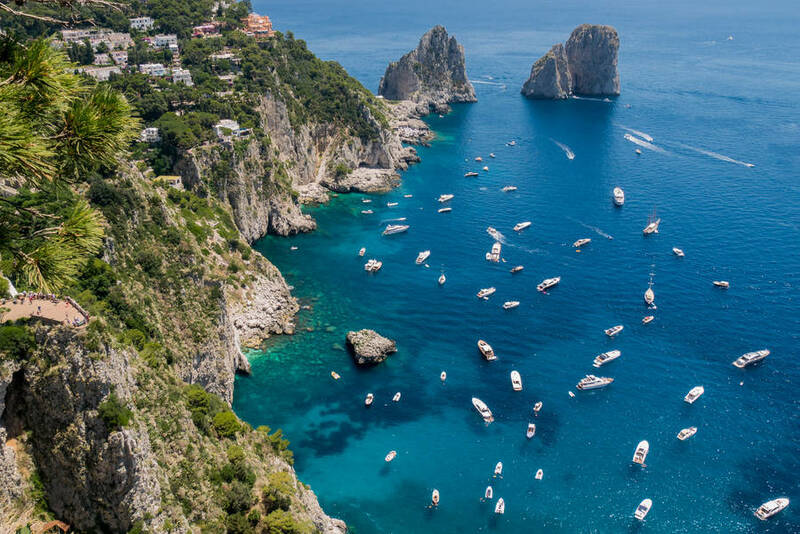 From Marina Grande below the town of Capri you can set off on a boat tour. 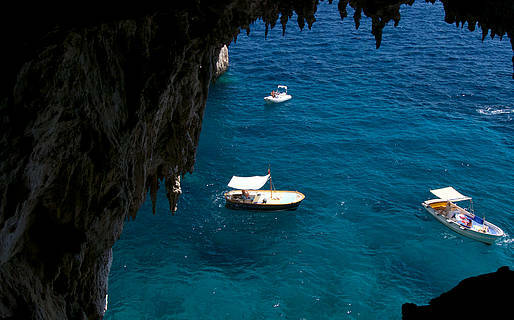 We recommend booking a private gozzo with a skipper for an unforgettable half-day tour! If you'd like to arrange a picnic on board, stop in at the Da Aldo deli in Marina Grande for the most famous panini capresi on the island! End your short break on the island with style! Book a table with a sea view at one of the waterfront restaurants in Marina Grande, famous for their excellent fish and seafood. Try: Zodiaco and Lo Smeraldo. 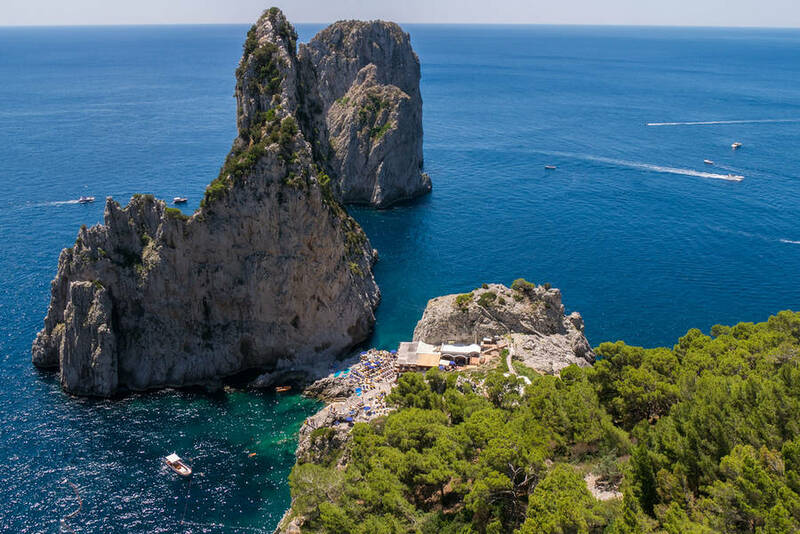 If you'd rather dine in the center of Capri, then book your table with a view at Terrazza Brunella or Geranio far in advance for a romantic final evening on the island!